I think it is safe to assume that my brief foray into the world of Kafka has come to an end. As much as I enjoyed reading The Metamorphosis, I should have just left it there. The two other Kafka short stories I have read today have not been nearly so enjoyable, or understandable, to me. This is a very barbaric story that opens with a "traveller" to a strange land being instructed on the workings of a complex torture device. Out of courtesy to the readers of this blog I won't go into any more of the very gory details. The story is very compelling; you know something awful is about to happen and like the traveller, who is there as a witness, the reader is utterly powerless to do anything about it. Part of the tension comes from wondering if the traveller will step in to alter events. 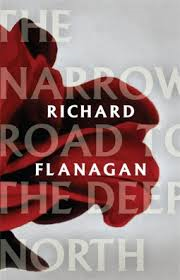 The story is immensely clever, exploring ideas of justice, being morally conflicted and not sure what to do, and some really unpleasant ideas about torture and suffering, but it is just too weird and unpleasant for me. This is a brief short story that I really did not like. The subject is unpleasant and it is so surreal that I couldn't really grasp what Kafka is trying to say. The story opens with an old country doctor making a late night flight to the bedside of a sick boy. He can't find a horse and so it appears his maid is exchanged for the use of two very fast horses. On arriving at the sick bed, the doctor is unable to treat the boy who has a very macabre wound, and the family of the boy try to prevent the doctor from leaving, he escapes through a window into the freezing night and presumably spends the rest of his life (the symbolism is dense, I couldn't really understand what was happening) riding helplessly around naked on the horses, disillusioned and dejected. 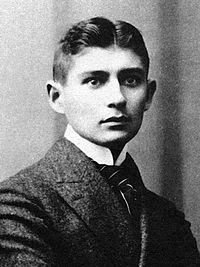 Overall I find Kafka's writing intriguing, but too dark for me. When his work began to circulate in the first half of the twentieth century I am sure it must have created an enormous stir amongst the progressive literary types. If you want to experience the brilliance without suffering nightmares or significant confusion, The Metamorphosis is well worth reading.